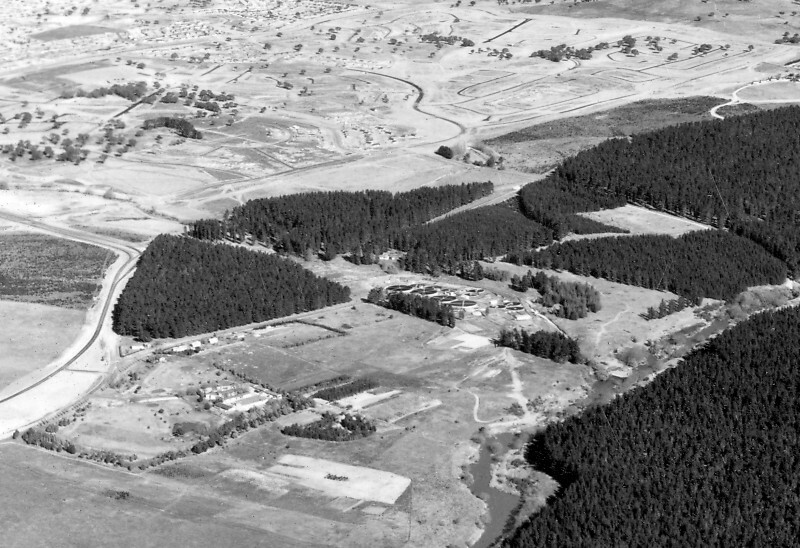 Holder and Duffy c1972, looking south over the Weston Creek Sewerage Works towards Holder. Photo: Archives ACT. It’s a part of town that has had its fair share of pain in recent years but ‘the Creek’ is nothing if not resilient, chalking up its half century this year. To celebrate Weston Creek’s 50 years this year from the gazettal of the suburbs of Fisher and Waramanga in 1968, the Weston Creek Community Council is putting out the call to past and present residents for their memories, stories and photographs from their time in the area. Council chair Tom Anderson, who built at Chapman in 1973 and is still there, said it was hoped to build a storyboard of experiences that could be published as a commemorative book. “Not a history as such but a story of the area and of the people who live here and have lived here,” he said. “We’re looking for stories from people living here, or people new to the district and why they came, people who have been here for a long time and may have done what we did and moved in the 1970s: why they like it, why they’re here, why they’ve stayed here. He said that at a 2 June celebration at Cooleman Court in which birthday cake was shared with fellow Creekers, Mr Anderson met people who had lived in the third house in Waramanga or the fifth house in Duffy, when the only shops were at Rivett or Waramanga, well before the Group Centre was built in 1978. Both the Group Centre and the Community Centre, which Lend Lease built as part of the development deal, are marking 40 years, and the Council also wanted to provide some of the material to the Community Association. “They always had the schools ready but the shopping centres were always after. Even later now,” Mr Anderson said. Between bushfires, school closures and Mr Fluffy, the Creek has seen enough change in the past 15 years to add a touch of drama to any publication. “There were seven primary schools, now we’ve got three. Two high schools and a college and now we’ve got one high school,” Mr Anderson said. He said there were nearly half as many Mr Fluffy houses in Weston Creek as what were lost in the 2003 bushfires, just under 200. “There were nearly 500 lost in the bushfires. That’s got to have a big impact on a small community,” Mr Anderson said. He said anything was welcome and contributions could be sent to chair@westoncreek.org.au or posted to Weston Creek Community Council, PO Box 3701, Weston, ACT 2611. Wish I could have saved the old wooden bus stop from the 70s or 80s that was still in Warragamba Ave until a few years ago. Today’s residents would have been amazed to see the timetable on the side of it, with buses running every half an hour.